Smada Projects Ltd was established in 2005 by Chris and Julie Adams, offering Project Management services and full turn key housing projects. With many years experience in design, developments and the building industry Smada Projects has undertaken all types of work, new builds, Large alterations and additions. In early 2012 Wayne Fa'asega started Smada Projects Design Ltd as a standalone operation, with an office situated at 365 Princess Street - DUNEDIN 9016. Smada Projects Design Ltd can provide concept schemes, developed design and full working drawings for a wide range of projects. Feasibility studies and assist in resource consent applications. Our mission at Smada Projects Design Ltd is to provide a smooth, efficient service for our valued clients. In doing so we can offer clients the entire build package and the design they prefer, without the restrictions that housing companies impose. We aim to reduce the stress involved with the consenting and build process by helping you, rather than hindering. ArchiDesign was formed in 2003 when principle Hamish McCaul returned from living and working in London. With 10 years experience firstly as a carpenter then as a draftsman he formed the company and started working as a designer in Wanaka. 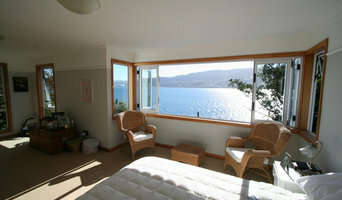 In 2006 the business moved to Dunedin and began to specialise in commercial work. Today ArchiDesign is a diverse design practice with the skills and resources to complete any project from simple alterations to multi - unit residential developments to large scale commercial fit-outs. Sole practitioner, designing residential and commercial structures for 21 years years. The early years, building many of the designs that I created. This has given me a unique understanding of the construction process. From an idea, through to contract documents and on to the built project. I have a strong understanding of building structure and how materials fit together. I use unconventional and conventional materials in an innovated way. Providing clients with unique homes that stand apart. I place a strong emphasis on the environment using materials and building systems that leave a small ecological footprint. My building always exceed the building code standard, for thermal efficiency. I Have experience in all construction methods, earth, straw-bale, lightweight conc, and all the conventional materials. I use the 3D BIM (building information modeling) to conceptualize, and produce the contract documents. I have traveled extensively to Nth America, Asia and Europe as part of my further education. Working as a builder and designer, assimilating ideas and construction methods. Also attending conferences, seminars and workshops in my fields of interest. This has given me a global perspective to the built environment. I work alone taking all projects from concept to the finish. Creative architectural solutions specialising in renovations and new residences. design arc limited is committed to providing an excellent client-focused service. I believe every project is unique and its style is formed from the client's lifestyle, needs and flair. I love the challenge of renovations, as there are so many set parameters to contend with. The new additions or alterations need to be an integral part of the site. 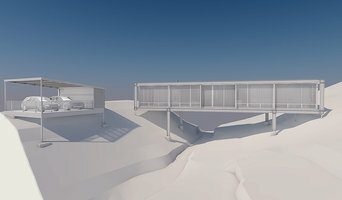 This does not necessarily mean the new areas are reproductions of the existing structure, however, they need to reflect the history of the site and sit comfortably balanced with the existing spaces. This award winning practice specialises in 3D Architectural design and is known for providing cutting edge design, high quality detailed contract documentation and draughting services at an economical price. The Practice provides a full range of architectural services from concept design through to resource consent and building consent documentation using an 'umbrella' management system to ensure projects are effectively completed. We specialise in the provision of high quality architectural design and contract draughting services that are tailored to your needs. Over the past 30 years Bill and the team have been committed to providing a highly professional service to all our clients, which we remain dedicated to today. Working closely with some of the architectural and construction industries leading vendors, W J Cadzow and Associates Ltd has constantly invested in its people, training, quality procedures and support infrastructure, demonstrating compliance with our business partners strict criteria; along the way, developing a unique understanding of the design and construction industry. We take great pleasure in putting all that knowledge to good use. Our clients range from large multi-national companies, small local businesses through to individual home owners. We pride ourselves on the high standard, friendly and approachable services that we offer to all our clients. No project is too large or small. We have worked on simple extensions through to large scale commercial developments. Most of our work tends to be bespoke, and we work with the client on both time frames and budget to offer them exactly what they need. Below are some of our company milestones and some interesting projects we have been fortunate enough to work on over the years. Are you are wanting to build a new home or add-on to your existing one? Do you want a friendly, hassle-free design experience and have your plans drawn up for an affordable cost that meets your budget? Whether you require basic concept drawings to obtain costing estimates; the minimum required for Building Consent; or plans and specifications to a very detailed level to ensure accurate pricing and minimise cost over-runs, Phil Dawson/Architectural has the experience and the capability to meet your needs. 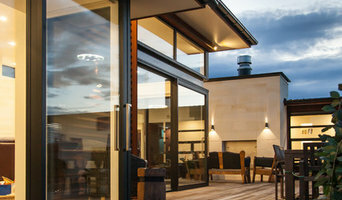 The business was established in 2000 in Dunedin by Architectural Designer, Phil Dawson, who has a background in working with a variety of architectural companies in Otago and the United Kingdom since 1983. 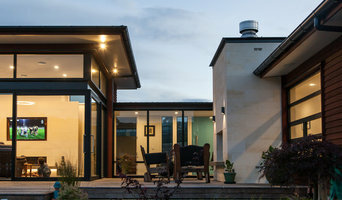 Phil Dawson/Architectural was set up to provide a contract Computer Aided Draughting (CAD) documentation service to professional architects and also provide a boutique architectural design and documentation practice for private clients, the majority of whom have come from referrals or repeat custom. Phil has experience in a wide spectrum of residential projects along with light commercial, and hospitality projects through to large industrial work. One of Phil’s key talents is maximising space, particularly in smaller or lower budget projects to obtain the best solution and value for the investment made. The practice prides itself on listening and seeking an understanding of a client’s tastes, lifestyle requirements and budget, to provide a high standard of innovative design and documentation to any stage as required by the client for a competitive cost. Our ideal is that any project should combine both client and designer input to create a successful and inspirational solution. Home design affects our lifestyle and well-being and we firmly believe good design is a critical factor to consider when building a new home or altering an existing one. In the same way that it’s important to rely on tradesmen to do a professional job, it is equally important to invest in strong and creative planning from the very beginning to ensure everything is completed to suit your lifestyle needs - without compromising aesthetics and function. 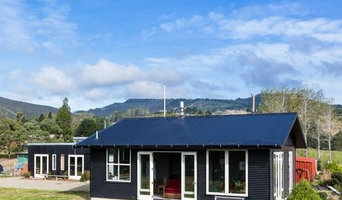 Plan Shop brings to you its design group involved in building planning in Dunedin. It hosts some of the top-class designers, who are highly experienced in planning supermarkets, cafes and historic buildings. All of these along with its rich history in the building industry have made Plan Shop the best architectural designers in Dunedin & Auckland. We are a Dunedin based company comprising 13 staff located in Dunedin, Auckland and the UK. We have been operating for around 12 years and do projects from small residential renovations and new builds through to large multi unit developments and small commercial projects.